BBC Newsline attends a preview screening of the new Doctor Who episode and meets the latest actors to take on the roles of the Doctor and his assistant. 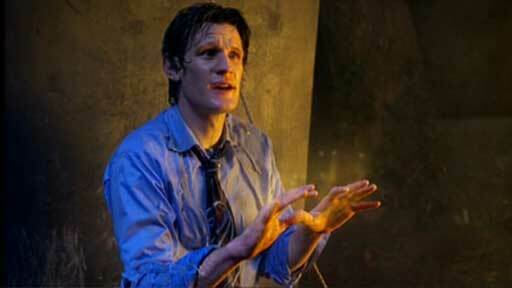 He is the eleventh Doctor Who, but age has not wearied the fans of the long running TV series. The latest actors to take on the roles of Doctor Who and his assistant have been visiting Northern Ireland to the delight of children and adults. The new series was launched in Wales but the Tardis has managed to drop into Belfast on its UK tour. Our Arts Correspondent, Maggie Taggart, watched the new team in action. 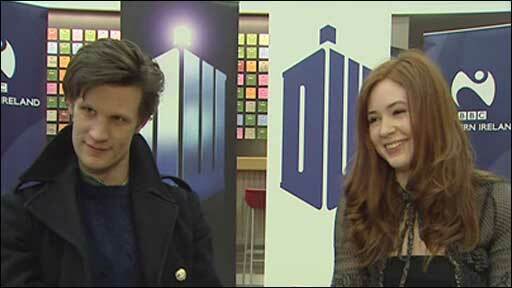 Arts Correspondent, Maggie Taggart, talks to Matt Smith and Karen Gillan about their new roles as Doctor Who and his assistant.